11th and 12th July 2013. Hoedspruit. South Africa. It was my great privilege to have been asked to participate in this conference by Tharia Unwin, the CEO of the Professional Hunters Association of South Africa (PHASA) – which organisation I officially represented (together with Ms Unwin and Mr. Barry York). I also represented my own NGO: THE TRUE GREEN ALLIANCE (TGA) of South Africa that has an equal interest in this programme. After the first morning’s session, I stood up and admitted that I had had grave doubts about the chances of the conference achieving any kind of success; that I had great misgivings about the SANParks’ elephant management programme in Kruger; and I had concerns about just how (in this case) three different countries were going to sort out their respective differences within a joint Trans-Frontier National Park (TFNP), with regard, especially, to their combined (and/or separate) wildlife management ideals and programmes. NB: My concerns in these respects are for the foundation elements of the envisaged development programme. I believe that if the groundwork on which the development plans are constructed is not solid, the grand idea for a TFNP complex will be destroyed when the foundation falls apart. I am still concerned that when all the facts are presented – and the depth of the problems are revealed – that these foundation elements will STILL not be properly addressed. They are the proverbial “elephants in the room” that nobody will be happy to tackle. Time will tell how this factor works out. My purpose in writing this report is simply to record my concerns, to add some new ideas, and to present them to the convenors. There was no time or opportunity for me to do this during the conference itself. I was also concerned that the national parks and other land categories in Mozambique and in Zimbabwe comprising the TFNP, would be denied the right to hunt their animals by “big brother” SANParks in South Africa – which has, for many years, been at pains to distance itself from the hunting industry. I have to state, however, that you could have knocked me down with a feather when one of the SANParks convenors – without any prompting – stated that hunting would become an integral part of the continuing debate; and all doors would remain open for an unbiased pro-hunting discussion. I am deeply concerned that hunting should be a part of the management plan because it is the one practice that can, and will (if it is applied correctly), solve whatever future poaching problems arise. I address this subject separately in Part III of this report. Furthermore, my concerns about the wisdom of continuing with the current Kruger elephant management programme were somewhat averted when the SANParks’ spokesman advised us that SANParks were going to review their Kruger elephant management plan. THAT statement, I must admit, took some of the wind out of my sails. The convenors, in fact, on every occasion, encouraged everybody to present their cases in open book format, and that no matter would be considered a taboo subject. On that note, I proclaimed to everyone present that I had changed my mind about the conference. I stated that, provided such openness prevailed – and there was no big brother standing in the background pulling the strings – I had high hopes that the conference’s vision would be achieved. I said that – under such circumstances – the TGA would give its support to the objectives of the conference, and I wished us all luck. (This statement drew a small ovation from everyone present). This is a subject that has worried me greatly since 1960 – but especially since 1994 when the elephant culling era in Kruger came to a halt. I am not going to go into any detail about the actualities of the past and current elephant management plans except to highlight the fact that the current plan: (1) contradicts the mandate that parliament gave to SANParks (when it was still called the National Parks Board) a long time ago; and (2) negates the conference’s desire to develop “sustainable tourism”. Parliament’s primary mandate to SANParks is (still – because it has never been rescinded) to maintain the sanctuary’s species diversity. Yet the current elephant management plan focuses on elephants; it seriously ignores species diversity; and it actually causes species diversity loss. I am going to have to spell this out carefully because many people don’t perceive wildlife management, and national park management, in the same manner that I do. Sensitive animal species require specific (narrow niche) kinds of habitats if they are to exist, let alone thrive, in a national park. The more robust species, on the other hand, like elephants, can exist and do well in a wide variety of habitats. Elephant’s don’t “need” a specific kind of habitat to live in – so elephants do well, as a species, in most habitats – even those that the elephants themselves are continually degrading. But in degrading habitats sensitive species constantly decline in number because their specific habitat requirements slowly disappear. They become locally extinct when the state of their specialised habitat is reduced (by too many elephants) beyond a certain threshold. Professor Koos Bothma states – simply – that “good soils produce healthy plants which produce healthy animals”. This succinct statement supports the concept of society’s “conservation priorities”. Note: there is a hierarchy involved when we talk about “priorities” – which means one priority is more important than another. Society’s most important wildlife management responsibility concerns the protection and/or wise use of the soil – because without soil no plants can grow; and without plants life on planet earth would not be possible. Society’s second wildlife management responsibility is for the protection and/or wise use of plants. Plants appear second in importance on the priority list – BEFORE ANIMALS – because plants are the only energy (food) producers on Planet Earth. Indeed, if there were no plants there would be no animals. Plants provide herbivorous animals with energy (food) – which is the first step in a range of energy transfers involving all other consumer organisms that make up nature’s multifarious food chains. Plants – coupled with the physical character of their local environments – create the many different habitat types that are the reason for the existence and the survival of the world’s diverse spectrum of wild animal species. Society’s third, AND LAST, wildlife management responsibility concerns the protection and/or wise use of wild animals. This does not mean that wild animals are NOT important, but rather that they are LESS important that the soil and plants. All this being the case, we need to be very concerned when we are told that “more than” 95% of Kruger’s top canopy trees have been progressively destroyed by a built up of “too many” elephants (since 1955). When a top canopy tree is destroyed, it is not just the tree we have to worry about. What is equally important – or more important – is the immediate local destruction of all the different tiered understory habitats that used to exist, and could only exist, in the shade of each of those trees’ giant canopies. And we cannot continue to deny that the species of organisms (plants and animals) that once lived in those many tiered understory habitats, disappeared too, when each large tree was removed. We have to admit that such habitat destruction is horrendous; and that it cannot but have caused massive biological diversity losses in the national park. The loss of “more than” 95 percent of Kruger’s top canopy trees has also reduced “plant cover” – the factor that protects the soil from the sun, the wind and the rain. The loss of 95 percent of the parks top canopy trees since 1955, therefore, opens up a whole Pandora’s Box of arguments that scream at me: bad wildlife management; huge ecosystem instability; many plant and animal extinctions; and loss of biological diversity! This explanation is just the tip of a giant iceberg. We truly don’t know – and we will never know – the full extent of the species of plants and animals that have already been rendered extinct in Kruger as a consequence of what I call the irresponsible elephant management programme that has been conducted in Kruger National park over the last 60 years. Please excuse my abruptness and arrogance: but if I don’t call this spade a “bloody shovel” nobody will take notice! I know that ecosystems change – all the time. And habitats evolve when animal population densities alter. Indeed, that this is how Africa’s savannah systems (with the help of fire) were developed and have been maintained. But during the long ago period when such natural cycles occurred, Africa had huge wide open spaces and lots of areas where human beings simply did not exist. Threatened and sensitive species could find refuge from extinction – in those days – in the vacant areas; and they would follow the evolving situations in the broader landscapes of Africa, as suited them best. That cannot happen anymore. A species that is extirpated from Kruger National Park today will likely never again return – because there are no longer any safe refuges for them in the adjacent countryside. So we should be managing the Kruger habitats for variety and permanence now, not trying to mimic nature’s up-and-down cycles of years gone by. With our new found ecological knowledge we can do that. And our species diversity mandate from parliament should guide us into that endeavour. So our management purpose, today, should be to recreate (as near as we possibly can) the diversity of habitats that once existed in the park – and the animals that once occupied those habitats are the ones that will be most likely return of their own accord; or, if they cannot return because of local extinctions, they can (hopefully) be replaced manually by man. I am particularly concerned that species like the Martial Eagle; the Ground Hornbill, and the Fish Owl will soon disappear. Tourism, today, seems to be dependent on large mammal spectacles; but, under the circumstances pertaining in Kruger National Park, today’s large animal spectacles cannot be maintained forever; and when they crash, our tourism industry will collapse with them. One of the things that still surprises me, is the fact that nobody has bothered to investigate the question that the then SANPark’s director, Dr Rocco Knobel, asked of the Kruger scientists in 1965: “What is the elephant carrying capacity of Kruger National Park?” Nobody knew the answer to that question in 1965, and nobody has bothered to find out, since. Surely the answer to this question is important to management? 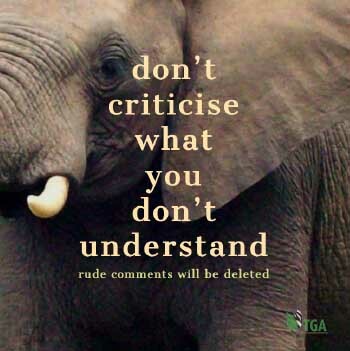 There is a public perception that the elephant carrying capacity of Kruger is 7000 – but that is not so. Why am I so sure of that? Let’s work it out! In 1944 a Kruger scientist determined that the top-canopy tree woodland in the Satara area of the park was reasonably representative of similar woodlands throughout the park. So he selected and demarcated a large area within the Satara woodland block as his study area; and he counted the top canopy trees that were growing in that area. He discovered there were, on average,13 top canopy trees per hectare. And at that time (1944) none of these trees had been damaged by elephants. There was no change in that situation for many years. There was, apparently, no change by 1955. The elephant population density in the park in 1955 – whatever the number was – therefore, was “within the carrying capacity of the habitat”. NB: The elephant carrying capacity of any national park can best be described as being the maximum number of elephants the game reserve (or habitat) can carry without causing irreparable damage to the vegetation. By 1965, however, when Dr. Rocco Knobel attended an ordinary parks board meeting at Skukusa (the Kruger National Park’s headquarters), he was informed that the undamaged trees in the Satara Study Area had been reduced to nine trees per hectare. This was the first time any such damage to these trees had been reported. And that triggered the start of the elephant culling era in Kruger. It took the scientists another two years of preparation before any culling actually took place. And an arbitrary decision was made to annually reduce the elephant numbers to 7000; and to keep them at that level until further notice. By 1967 – the year the first elephant cull took place – the number of surviving top canopy trees at Satara had been reduced to 6 trees per hectare. By 1974, the figure was 4 trees per hectare. By 1981 it was down to 1.5. By 1994 there were no more trees left standing at Satara so the judgement parameter changed. It was then said that the woodlands of Kruger National Park, as a whole, had been reduced by 95 percent. Today they say “more than” 95 percent. The damage, therefore, is now virtually complete! And all this occurred during a 27 year period when, every year, the elephants were reduced to 7000 animals; and that culling target was maintained until 1994 (when culling was stopped following emotional pressure from the animal rightist NGOs). NB: What do these figures tell us about the figure 7000? It tells ME that 7000 elephants were far too many for the park to sustainably carry. So why wasn’t something done to reduce the culling target when the destruction of ever more trees was recorded right throughout the culling era? My answer: I don’t know! To find Kruger’s real elephant carrying capacity – when the habitats were still healthy and undamaged – we have to look at the story I have just told you for the period between1955 and 1965. In 1955 there were still (apparently) 13 undamaged trees growing in the Satara study area. So whatever the elephant numbers were in 1955 (and I don’t know what that figure was) that number reflects the nearest anyone is ever likely to get to the figure we are looking for. When a population is expanding at 7.2 percent per annum – it doubles its numbers every ten years. When a population of elephants is “SAFE” (which means its numbers are healthy but still well within the carrying capacity of its habitat) you can cut the population in half with absolute confidence. Such a population reduction will do no harm at all to a SAFE population – and it will return to its former numbers inside 10 years. And when a population is “excessive” (which means there are definitely far too many elephants and they are seriously damaging their habitat) you can be doubly sure that cutting such a population in half will do it no harm at all. In fact, it is my view, that any and all excessive elephant populations should ALWAYS be reduced by half as a FIRST population management reduction measure. I was advised at the time, that the Kruger elephants, during the culling era, were increasing at a rate of 6.8 percent per annum. This is not too different from 7.2 percent – which I am now going to use as my yard stick. I do this for ‘convenience’ purposes only because, if a population doubles its numbers every ten years, all you have to do to find out what the population was ten years before, is halve the numbers. So let’s do some more guesstimating. 1965 is ten years further along the line than 1955. And the figure we need to determine is the number of elephants extant in 1955. To make that calculation we need to know how many elephants there were in 1965. I don’t have that figure – but maybe SANParks have it? Anyway, let’s do a guesstimate calculation. A figure that we do know is the number of surviving elephants after the 1967 cull (7000). We also know that several hundred elephants were culled that year (circa.1000) – which is as near as dammit to a two year incremental rate for elephants numbering 7000. So the number of elephants in the Kruger National Park in 1965 was “about” 7000. And, if we halve that number we come to the approximate figure of 3 500 for 1955. And I believe that figure – 3500 – is the nearest that anybody is going to get when trying to determine the true elephant carrying capacity for Kruger National Park – WHEN the habitats were still healthy (circa 1955). And this is the number that I believe the Kruger scientists should now be considering as their tentative new elephant management yardstick. In other words, THIS is the number (3 500) to which, I believe, the Kruger elephant management team should reduce their current elephant population. Indeed, because the habitats have since been so badly trashed, I think they should reduce them still further – to 2500 – in order to help the habitats to recover quickly. And I believe they should hold the population at this level – by annual culls – for the next 50 years. All this leads us to the fact that a huge number of elephants need to be killed – and THAT is the “elephant in the room”. Few people will want to be associated with such a controversial exercise. Be that as it may, if Kruger National Park wishes to return to its former biological diversity mandate – and I believe it should – THAT is what is going to have to be done. This is “hard-talk” and “tough love” management. And it is vitally necessary! Roughly, therefore, I conclude that the real Kruger National Park elephant carrying capacity is “UNDER one elephant per two square miles”. A similar figure was calculated for Hwange National Park (Zimbabwe) in 1960; and I recently drew the same conclusion for the Gonarezhou National Park (Zimbabwe), too. Altogether, this tells is us that man is trying to carry far too many elephants in his limited national park sanctuaries. And, in all cases, I will predict that if all elephant populations in southern Africa are NOT reduced to a level that is within the sustainable carrying capacities of their habitats, the elephants will very soon reduce our national parks to desert slums with a very limited biological diversity. I would ask the Kruger scientists – who have access to the real numbers – to check my figures and rationale and to tell me (to tell us all) their conclusions. They may well find my figures wrong by a few hundred animals either way, but I don’t think they can fault my rationale. The number of elephants that were extant in Kruger National Park in 1955 is the probable true elephant carrying capacity of the national park (when the habitats were stable and healthy). I believe we should never forget that! …. they are going to have to give serious consideration to reducing elephant numbers in Kruger National Park, drastically, to conform with the park’s true elephant carrying capacity. That is the ONLY way that true ecosystem stability is going to be achieved. And that is the ONLY way that a sustainable tourism industry can be constructed. I was disturbed by the fact that no mention was made during this conference of Africa’s gigantic human population explosion and its certain impact on the plans we are making for the whole Limpopo Trans-Frontier National Park development. I have to conclude one of two things from this omission: (1) that either nobody knows about it; or (2) nobody cares. Certainly its importance was not acknowledged because the discussion on integrating local rural communities with the TFNP wildlife management plans were grossly deficient – in my opinion – given the magnitude of the looming human population problem. Let me provide for you the (U.N.) figures, now. By the year 2100, the figure is expected to exceed 4 billion. It has been shown in many parts of southern Africa that when rural people are denied access to “their own” wildlife resources: they generate no feelings of ownership of the resource (not even “emotional ownership”); and they consider all wild animals to be “common property”. The wildlife resource is then owned by nobody and harvested by everybody – without constraint. And this is not the way we are going “save” Africa’s wildlife into posterity. (cf.Garret Hardin – “The Tragedy of the Commons”). I would guess that, today, there are probably 750 million people living in Africa south of the Sahara Desert – and we are already experiencing great difficulties in trying to “save” our wildlife from poachers at this time. Cast your mind into the future and tell me how much more difficult you think it is going to be when you are trying to protect our wildlife from six times as many people; and when the proportion of them that are poverty stricken and unemployed, is infinitely greater than is the case today? 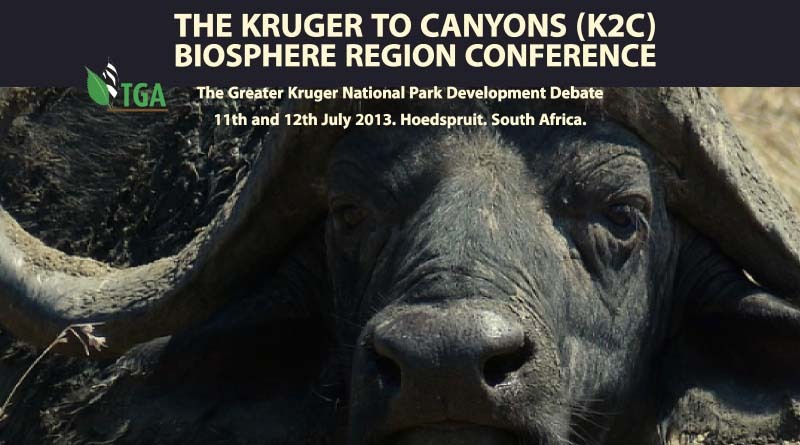 Yes, the involvement of local rural people in the Greater Kruger National Park (TFNP) development was on the agenda, but its degree of importance (even amongst those people from the rural communities who were present) was, in my opinion, far too low. It left me with the idea that nobody had really applied himself to thinking about this issue – and that nobody has yet grasped the fact that THIS is the issue that can, AND WILL, make or break the Limpopo TFNP later this century. So we would be well advised to take this issue VERY SERIOUSLY; and to take it to the planning table – NOW – so that we can obviate whatever problems this mass of people is likely to present the Limpopo TFNP with, later this century. There are still many people who believe that to place a price-tag about an animal’s neck places it on the slippery slope to extinction. They also believe that to “use” an animal – any animal – for the express purpose of providing benefits for mankind is immoral; that it opens the door to man’s insatiable avarice; and that the resource will thus be so over-exploited it will disappear altogether. To those who believe this myth, let me point out that the most utilised animals on earth are domesticated animals – cattle, sheep, goats, pigs and a whole lot more. They all have market-related price-tags hanging around their necks; they are all very heavily exploited by man; and they all bring great benefits to mankind. Furthermore, nobody believes these animals are facing extinction! Why? Because man and civilisation, as we know it, cannot afford to have domestic animals become extinct. They are far too important to the survival of mankind! Look at what happens in rural Africa today. Cattle (particularly) are a family’s bank account; cows provide the bride-prices for the purchase of wives for young men when they reach marriageable age; and the numbers of cattle owned by a man is a reflection of his wealth and stature in society. Family members will risk their lives to protect their cattle – and sheep, goats and chickens provide the family with everyday meat to eat. There is no way that a family which owns domestic animals will ever over-utilise them or allow them to become extinct… because no rural family in Africa can afford to let that happen. There is no comparison between the value of the benefits that could be made to flow to Africa’s rural people from the sustainable and controlled use of “their” wild animals, and the benefits that they currently accrue from their domestic animals. Elephants, rhinos, buffaloes, giraffe, kudu, eland, wildebeest, zebra, lions and leopards, and many more, are infinitely more valuable than domestic cows; and hunting is the people’s best means of harvesting this resource. Furthermore, the amount of money they can charge a hunter for the experience of hunting these animals, is a value-added benefit. If we could get the rural folk to realise all these things; and if we made an annual quota of wild animals available to them for their controlled and sustainable use, the people would make infinitely more money than they could ever generate from the utilisation of their domestic stock. They could not, and should not (in my opinion), however, be given legal ownership of these wild animals. Instead they should be given controlled usufruct rights; and that is all they will need to generate greater levels of “emotional ownership” than they have ever been able to achieve with their domestic stock. Emotional ownership over “their” wildlife will be much greater because the financial rewards will be infinitely better. My proposition, therefore, to “save” the wild animals in the Limpopo TFNP for posterity – even in the face of the human avalanche that is about to descend on Africa later this century – is that we enable the TFNP’s immediate rural neighbours – NOW – to develop an “emotional ownership” of the TFNP’s wild animals. And we can do this – NOW – by creating positive conditions that will enable them to benefit very significantly from the harvest of TFNP’s overall wildlife resources (especially its big game animals). To enable this to happen in a responsible and acceptable manner, will require that the TFNP authorities enter into active partnerships with their local communities – partnerships which will enable both parties to accrue highly attractive and significant benefits. Parsimony is NOT part of this equation. The people – on both sides of the partnership – must gain truly significant financial payments for their participation in this scheme. One benefit the park administrations will accrue is an agreement from the local people to the effect that they will NOT support poaching. THAT must be a pre-condition. And the solution – besides providing financial benefits – will include significant penalties for every animal found poached in the park irrespective of who was responsible for it. So the system will require the application of both “passive carrots (significant rewards) and passive sticks (double penalties)” in its implementation. I believe this ideal this will provide Kruger National Park, for example, with a solution to its devastating and most virulent poaching event of all time – today’s rhino poaching; and it would impede the development of extensive elephant poaching, too. I envisage that the programme should include the development of game skin tanneries and meat canneries in locations where the local rural people reside; and high-class furniture factories using expensive elephant hide for the leather covers – for international distribution and sale; and a whole lot more. Thus this ideal will address the two driving forces that cause the poaching of valuable wild animals all over Africa today – poverty and unemployment. And it will turn the local people into the TFNP’s most valuable custodians. It WILL entail, however, a measure of relaxation in the hunting of big game animals in and around the TFNP; and the annual harvesting of prolific species such as impala and buffalo within the park – to feed the canneries. I believe this is the ONLY way we are going to avoid the TFNP from being overrun by poachers and uncontrollable masses of desperate people who are simply seeking a place to live and to survive – which is going to happen in the not-too-distant future. This ideal, therefore, needs to be properly explored. And we need to look at it with a completely open mind. If we stick to old national park colonial dogmas it will never work – and if that happens we will only have ourselves to blame when our national parks are overrun by humanity later this century. There is a lot more to this suggestion than I have been able to disclose in this short report. If anyone is truly interested in this ideal, I have a polished document printed on this important subject called: “The African Wildlife Initiative Programme” (AWIP for short). It is one of our TRUE GREEN ALLIANCE’s more important initiatives. If you want a copy, I can send it to you in the post. I would definitely love to have a copy of the AWIP!!! Thanks for the article Ron.